The Florida Highway Patrol brought extra enforcement to Southwest Florida to open the spring break and baseball spring training season. “Operation Safe DRIVE” is the patrol’s campaign to reduce serious and fatal traffic accidents through Distracted Reckless Impaired Visibility Enforcement. “Motorists can reduce crashes if they share the roads safely, avoid aggressive driving behaviors and exercise additional caution when driving near larger vehicles,” said Colonel Gene Spaulding, Director of the Florida Highway Patrol. Our injury lawyers in Fort Myers and Cape Coral have posted here about the added risks of driving in Southwest Florida, particularly from now until Easter. The vast majority of these traffic collisions are caused by preventable human error. Distracted driving, speeding, and other forms of reckless or aggressive driving are responsible for most crashes. Southwest Florida’s explosive growth and burgeoning seasonal population both increase the risks. Congested roads and lack of adequate safety infrastructure like crosswalks and bicycle lanes also commonly contribute to accident causation. Pedestrian deaths are becoming epidemic, as Lee County struggles with a record number of traffic fatalities. And spring break and baseball spring training increase the risk of being in a collision with a drunk driver. The FHP is also monitoring the safety of an increasing number of commercial trucks on Southwest Florida roads, and offers tips for safe highway driving. Trucking accidents or collisions with other commercial vehicles (pickup trucks, delivery vehicles, vans and utility trucks, tractor trailers, etc.) are always complex cases best handled by a personal injury law firm with significant experience. Collision liability in such cases may extend to the employer, vehicle owner or maintenance company, or even the owner of the delivery load. An experienced Fort Myers injury lawyer will be best able to identify liability and causation, identify all responsible parties, and determine the full extent of an accident victim’s damages. Driver distraction: We all know about the risks of cell phones. But external distractions play a large role in accident causation. The many visitors to Southwest Florida, heavy traffic and road construction, all add to the risks. 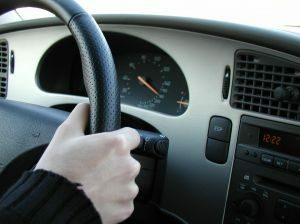 Aggressive driving: If you are not driving defensively, than by default you are likely driving too aggressively. Aside from distraction, most of the other causes of traffic collisions involve some form of aggressive driving, including speeding, failure to yield, failure to respect the rights of cyclists and pedestrians, following too closely, not using your signals, and not obeying traffic control devices.Committing to basic traffic-safety strategies can not only help you prevent being involved in a traffic “accident,” it can help reduce the risks that you will be found legally and financially responsible to the victims for damages.